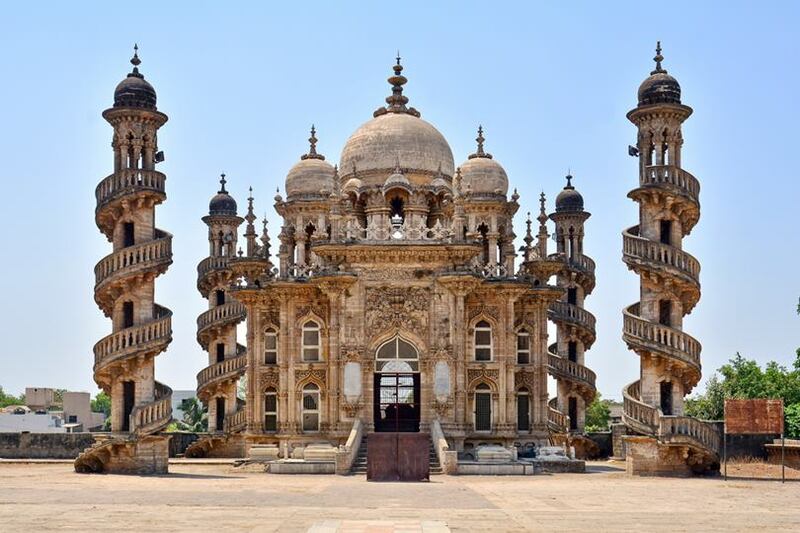 Mahabat Maqbara also Mausoleum of Bahaduddinbhai Hasainbhai, is a beautiful mausoleum in Junagadh, India, that was once home to the Nawabs of Junagadh. The splendid arches, many domes, and towering minarets. 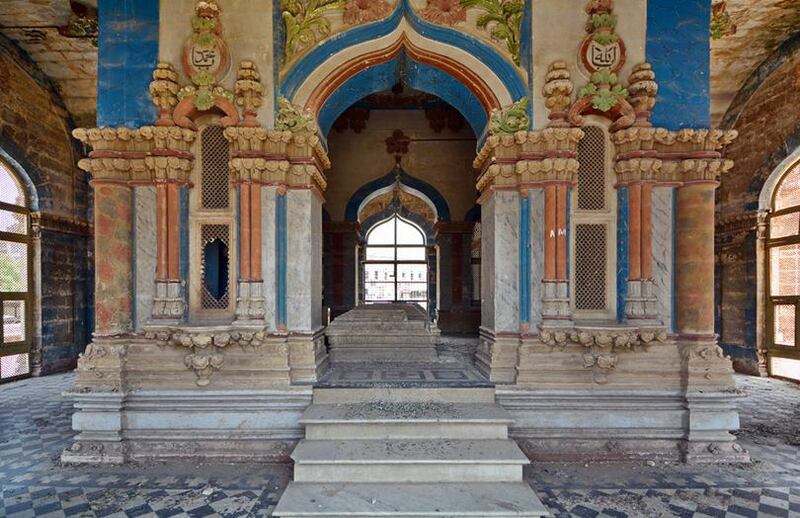 The architecture is detailed and opulently done. It has finely carved silver doors. Its striking art and architecture make it one of the city's most important historical landmarks. 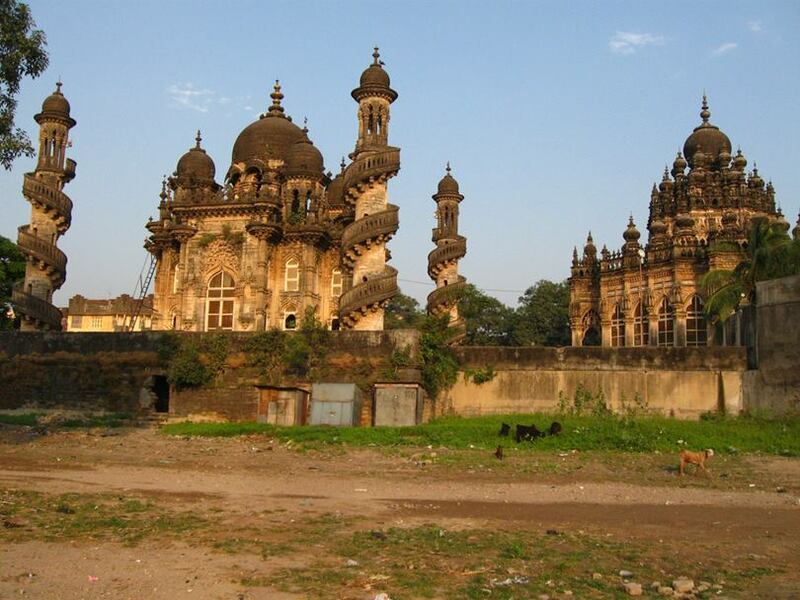 The city of Junagadh has other 18th century mausoleums built by the Nawabs in the area around Chitkana Chowk. 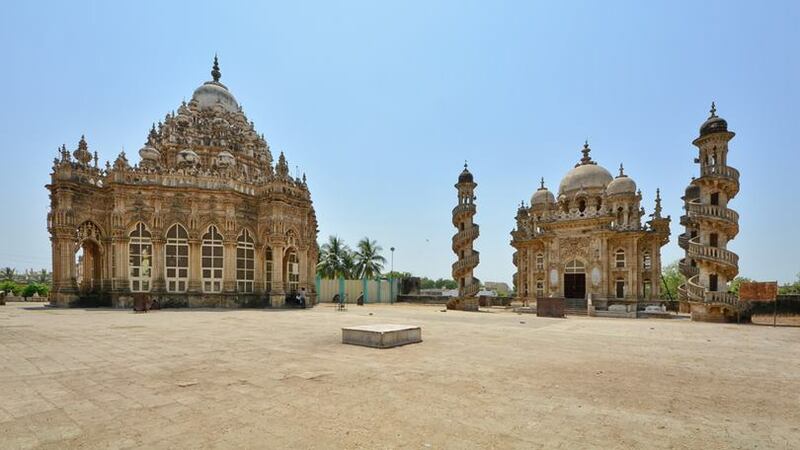 Started in 1878 by Mahabat Khanji and completed in 1892 by his successor, Bahadur Khanji, the Mahabat Maqbara houses the tombs of Mahabat Khanji and Bahauddin Maqbara of Bahaduddinbhai Hasainbhai, vizir of Nawab Rasul Khanji. 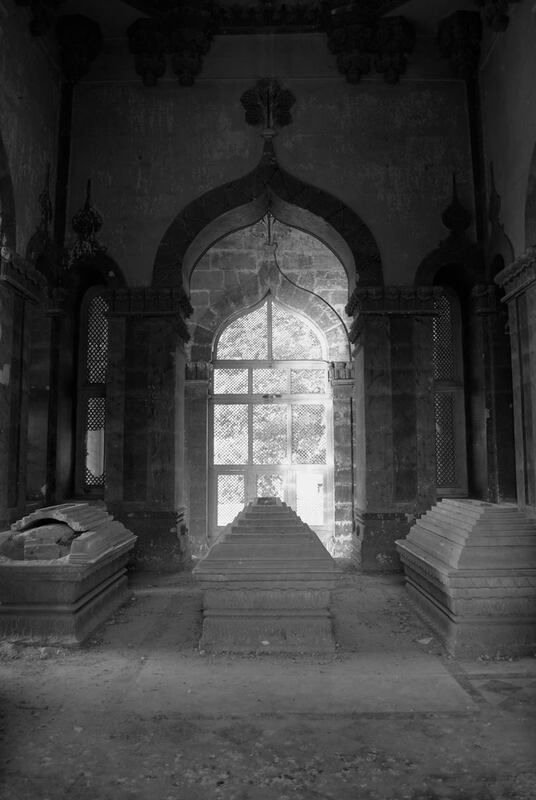 Standing over the grave of Nawab Mahabat Khan II, the tomb is a mixture of Islamic, Hindu and European influences, typical of Junagadh's royal monuments from the late 19th century. 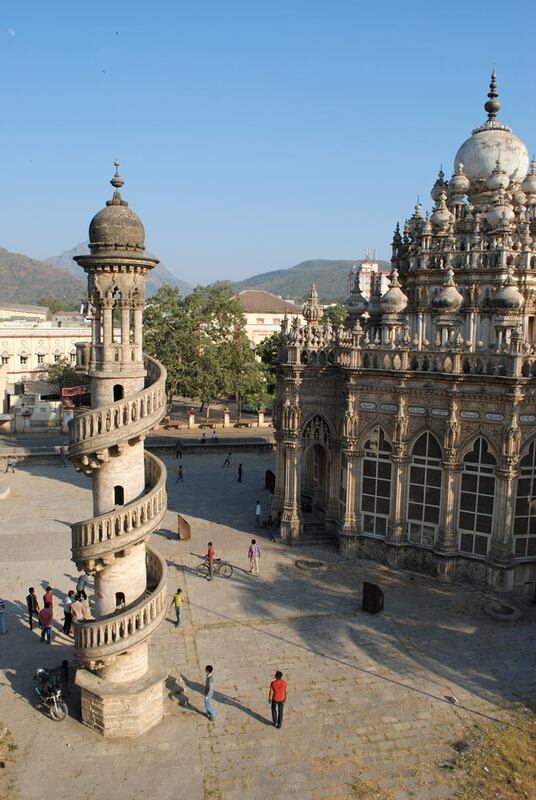 The Mahabat Maqbara is a palace-mausoleum in the Junagadh district of the Indian state of Gujarat, adjacent to the sacred Girnar Hills in Saurashtra. 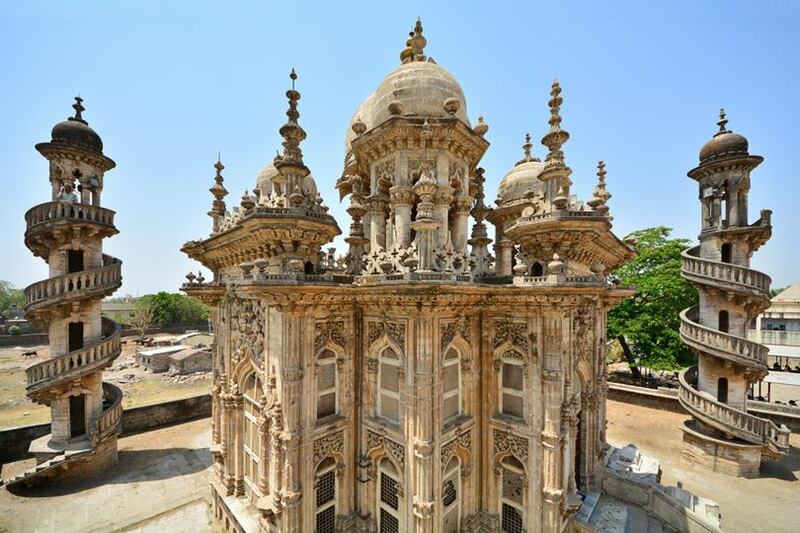 The etymological meaning of Junagadh "Old Fort" gives the palace its alternativ name of "The Old Fort Palace". 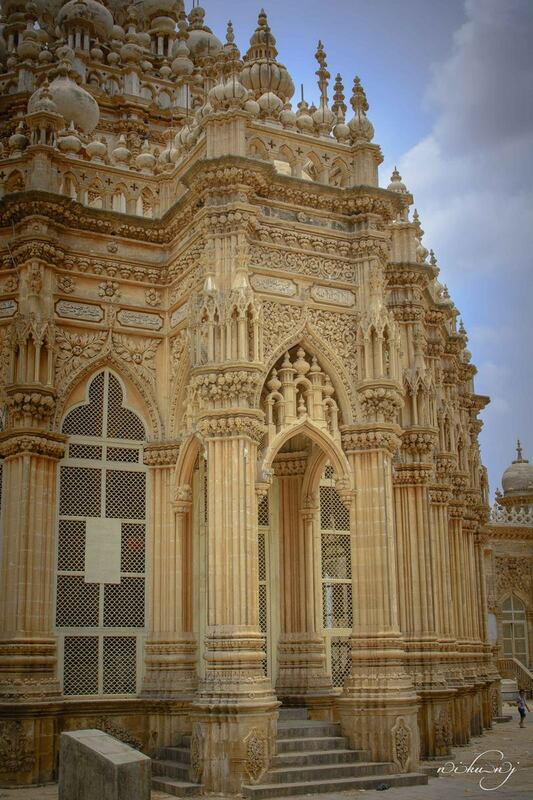 The yellow mausoleum, Mahabat Maqbara, is a masterpiece of its kind with finely designed arches, vertical columns and elaborate stone carvings on the walls and windows. 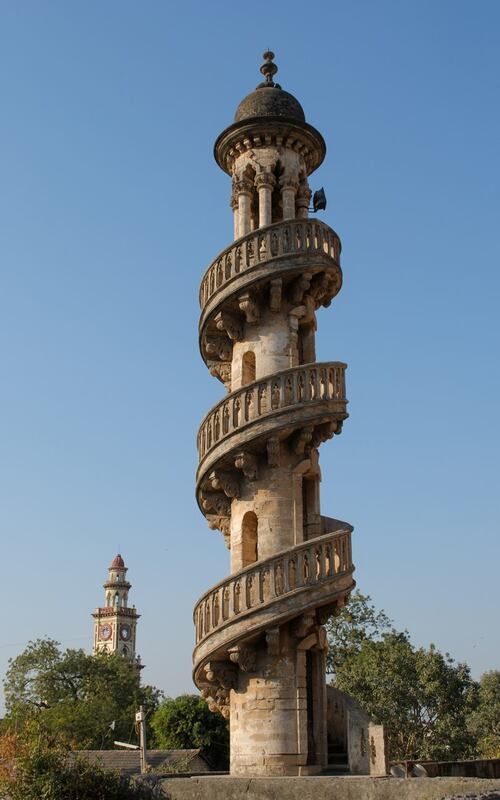 Its silver-decorated portals, the winding staircases encircling its four tall minarets, the old step-well in the grounds, and its onion-shaped dome contribute to its splendor. 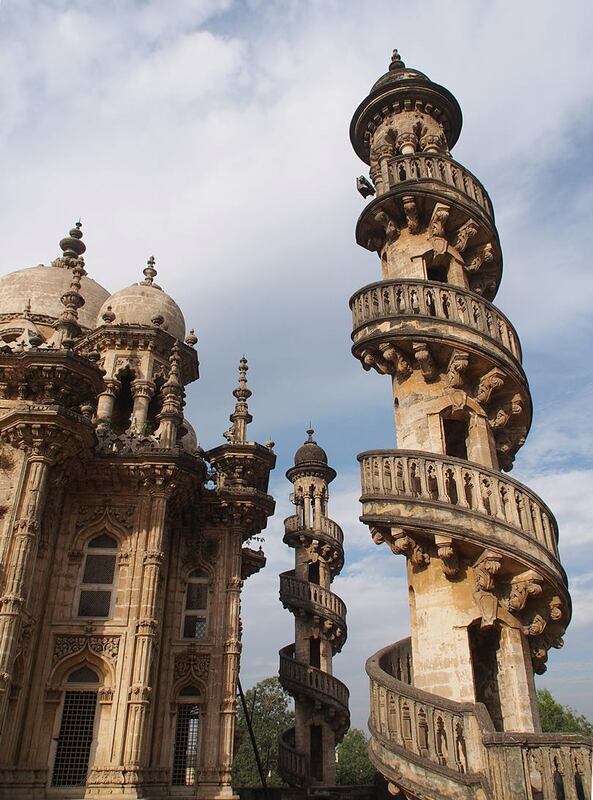 With a combination of Indo-Islamic and Gothic architecture, Mahabat Maqbara offers a sense of equality and exchange between the two cultures. The Jammi Masjid is on one side of the mausoleum while the Vazir's maqbara is on the other. The Mahabbat Maqbara is generally closed to the public but can be seen by obtaining the keys from the mosque situated beside the mausoleum. 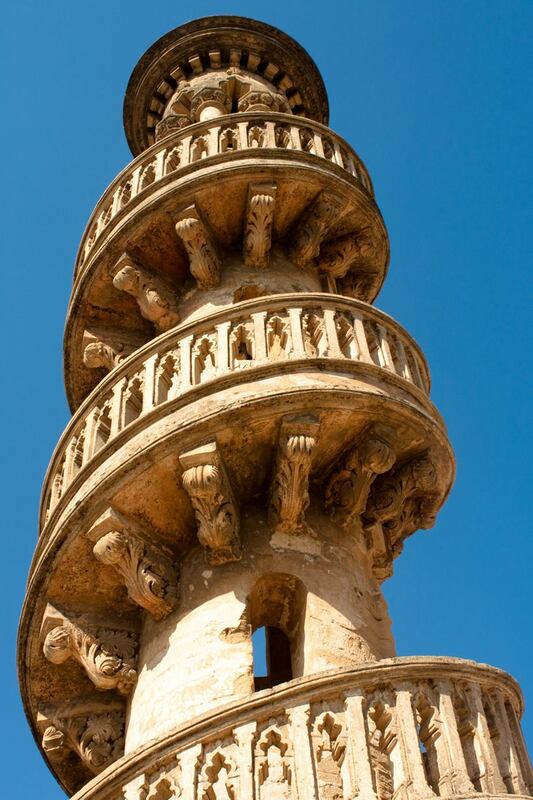 Amongst the forts and monuments in the state of Gujarat, the Mahabat Maqbara is an exquisite example the nineteenth century art and architecture.